For great interaction, entertainment and learning, check out the Jumpin' Jacks Toys range of kids dice games. 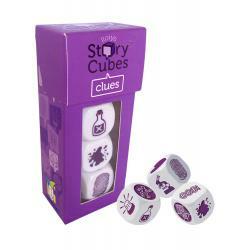 A game that can be played quietly or noisely, dice games for kids can be played over and over and we offer a selection that suits various age groups. The beauty of dice is that they're portable. Dice games encourage kids to learn about taking turns, staying focused, observing other's dice game play as well as keeping scores. Just in time for Christmas, 4 travel sized games from House of MarblesThese little box games are si..
Be the first to get rid of all of your dice in Pass the Pandas by rolling pandas, bamboo or water d..